The human being, as part of nature, has an inherent attraction for the different elements that compose it. According to the sociobiologist Edward O. Wilson and his Biophilia hypothesis, this attraction is a result of evolution and it influences how social groups assign values to their components. 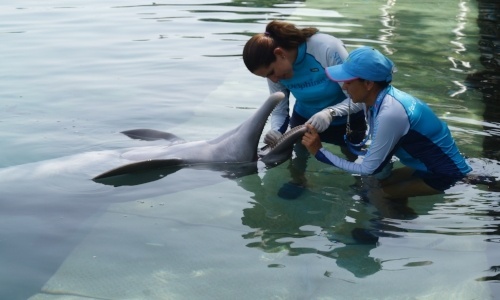 An example of this nexus is the way we relate to animals, such as the admiration we feel for the magnificent blue whale, or the tenderness we feel while caressing a rabbit, a puppy or a dolphin. Unfortunately, human activities have caused the loss of 10-20% of the planet's wild species. And the trend goes on. On October 4th each year, we celebrate World Animal Day, with the purpose of sensitizing children, young people and adults to the importance and welfare of both domestic and wild animals. 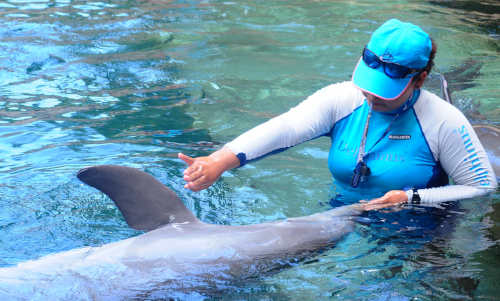 One way to achieve this collective consciousness is through interaction with animals, like a dolphin swim. This activity aims to make people aware of why they should care and protect their environment. There is a general notion that wild animals do not suffer from medical conditions, or that they can easily overcome diseases. The truth is that evaluating diseases in wild animals is complex. For this reason, modern zoos play an important role in the preservation of wild species, because they generate knowledge and promote empathy towards them, especially in people who otherwise could not have contact with them. The welfare of animals in wildlife is achieved by conserving natural habitats, since the greatest threat is the loss of their ecosystems, which makes them vulnerable due to lack of food, territory and biodiversity. Remember that in the end, this also affects us, because after all, we are also part of nature. 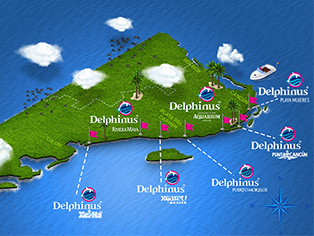 At Delphinus, we are concerned about the welfare of our marine mammals which is why we work with a special care and research team who seeks to improve their health and their environment. 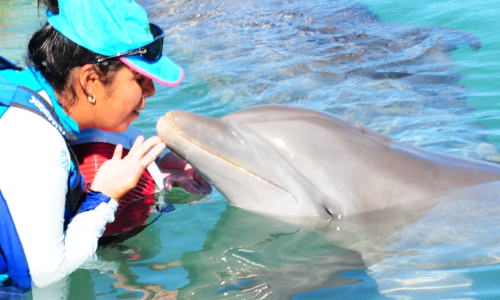 Come and swim with dolphins to celebrate your love for animals! Once you know their habitat, you will not doubt that we love them as well.